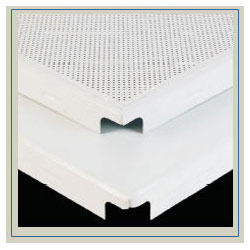 Our range of products include Metal Ceiling Tiles such as Aluminum Laying Plain and Perforated Acoustic Ceiling Tiles, Clip in Pain and Perforated Ceiling Tiles, Linear Ceiling Tiles and Aluminum Clip in Plain Perforated Acoustic Ceiling Tiles. 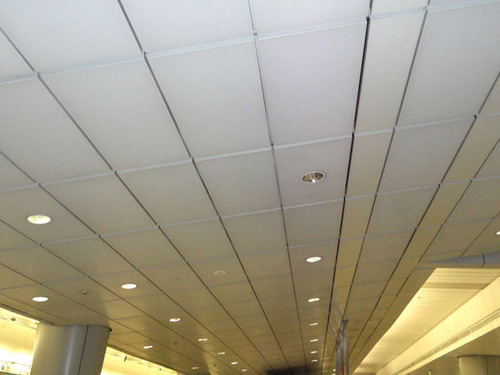 Being one of the reputed organizations in the market, we are engaged in offering an exclusive range of Perforated Acoustic Ceiling Tiles. Our offered ceiling tiles are designed using superior quality raw material and cutting edge technology under the supervision of our vendors’ experts. The provided ceiling tiles are tested on varied parameters so as to offer qualitative product at clients end. Moreover, clients can avail these ceiling tiles from us in different sizes and designs. 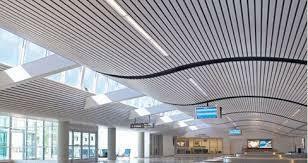 Backed by a diligent team of skilled designers, we are engaged in offering clients high quality Linear Ceiling Tiles. The offered ceiling tiles are designed using the finest quality raw material and cutting edge technology at vendors’ end. Our provided ceiling tiles are widely appreciated among clients owing to their elegant design, superb shine and smooth finish. Available in varied designs and sizes, these tiles can be availed by customers in different customized options. We have a huge collection of Clip in Pain Ceiling Tiles that are available in variegated sizes and designs. Our offered ceiling tiles are appreciated in the market for their smooth finish and attractive design. We only use superior quality raw material and ultra-modern technology at vendors’ end while processing these ceiling tiles. So as to ensure the quality, our adept professionals test these ceiling tiles on varied parameters. Looking for “Metal Ceiling Tiles”?